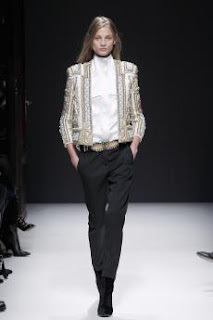 Balmain is a french label I have loved (from afar!) for a long time so I thought this Monday's So Pretty post should feature the beautiful clothes from their Women's Collection Automne-Hiver 2012/2013. 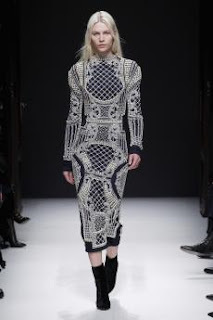 Monochrome appears to be the look for Autumn/Winter this year and Balmain have jumped onto it with style. This collection looks cosy and chic.